Iraqis Divided on Iran Deal: Sunnis say, "The US sold us to Iran"
While the rest of the world debates the merits of the Iranian nuclear deal, Iraqis are arguing about it too: Did the US sell them out? 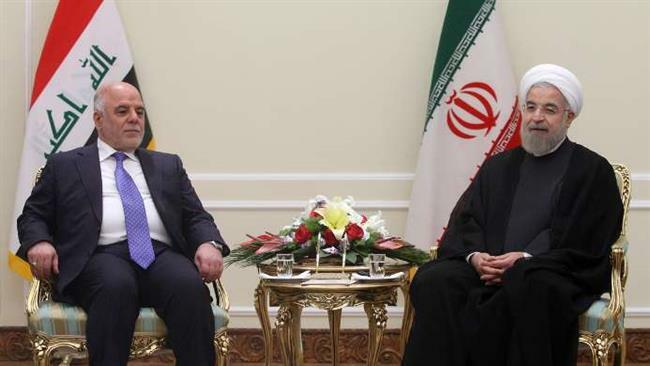 Will Iran now be able to interfere in Iraq with impunity? Earlier this month news broke that a deal on Iran’s nuclear programme had been reached, after months-long negotiations involving foreign ministers from seven countries – Iran, the US, the UK, Russia, China, France and Germany as well as the European Union’s head of foreign policy. The deal would curb Iran’s nuclear programme and prevent the country from developing nuclear weapons quickly. In return long-standing international sanctions against Iran would eventually be lifted. Around the world, opinions were divided as to whether the agreement was a triumph of diplomacy that would help achieve peace in the Middle East or whether it was, as one conservative US senator put it, “a historic defeat for the United States”. Opinions were also divided in Iraq, which shares an almost 1,500 kilometre border and a chequered history of war, peace and political interference with Iran. Just a few hours after the agreement was announced, Iraqis were heatedly discussing the topic on the streets, in cafes and on social media forums. The opinions expressed mostly seem to be indicative of the ethnic and sectarian fault lines already running through Iraqi society. Those favouring the deal tended to be Shiite Muslims and they suggested that a better relationship between Iran, a Shiite Muslim theocracy, and the US would mean more stability in Iraq in general. The two nations – arguably Iraq’s closest foreign allies – often jostle for power inside Iraq, using Shiite Muslim (Iran) or Sunni Muslim (the US) proxies. If they are on better terms, so the argument goes, maybe Iraq’s sects will be on better terms and all forces could come together to combat the extremist group known as the Islamic State, which is currently causing Iraq’s debilitating security crisis. However those opposed to the deal – most often Sunni Muslims – are arguing that the agreement gives Iran the right to interfere in Iraq without any US opposition. Washington has bought Iran’s nuclear weapons, they complain, and in return they have sold Iraq to Iran. Insults and accusations also flew, with anyone opposed to the agreement often accused of being a secret agent for Saudi Arabia and the Gulf states – these countries have already expressed concern about the agreement, believing that if Shiite-majority Iran has more power it will be to the detriment of their Sunni-Muslim-majority nations. The same kinds of arguments and discussions played out everywhere in Iraq – from family dining tables to coffee shops to Facebook. The Iran agreement also brought back unpleasant memories for many Iraqis – of the nuclear programme that was initiated by former Iraqi ruler, Saddam Hussein, and the trouble it caused. The nuclear deal also gave critics of the Iraqi government another opportunity to harangue local politicians and their lack of achievement. Iraq’s Foreign Minister Ibrahim al-Jaafari, a Shiite politician, was the target of much criticism. His dismal performance on open files – such as the fight over water with neighbouring Turkey and the dispute over Kuwait’s Mubarak al-Kabir Port – was compared with that of Iranian Foreign Minister Mohammad Javad Zarif, who was seen as triumphant after many long and difficult negotiations. There were a lot of jokes made about al-Jafaari too. Iraqis often laugh about the way al-Jafaari speaks Arabic. He uses a haughty style of Arabic that seems old fashioned to many. Jokes about him compared his way of speaking to Zarif’s, whom Iraqis see as more plain spoken and direct. As for Iraq’s senior politicians themselves, their opinions were divided in the same way as their voters were. At a senior political level most of Iraq’s leaders welcomed the agreement in various statements to the press – even if some were a little lukewarm with that welcome. “The agreement will help in strengthening security and stability in the Middle East,” Iraqi President, Kurdish politician Fuad Masum, told local media. “We hope that the agreement will spare the region the scourge and disaster of war and conflict,” Iraq’s Prime Minister, Shiite Muslim politician Haider al-Abadi, added in a statement. And, senior Sunni Muslim politician, Salim al-Jibouri, also the Speaker of Iraq’s Parliament, noted: “We hope that this agreement achieves greater economic and trade cooperation and gives the people their chance to live in peace and security”. Other politicians made comments that reflected their own political allegiances. Meanwhile Nouri al-Maliki, former Prime Minister of Iraq and now another of the country’s Vice Presidents, described the agreement as a “victory for those who love peace in this region and in the world”. By the end of his regime last year, al-Maliki was known for his close links with Iran. Unsurprisingly the same kinds of sentiment were expressed by most of the Shiite Muslim-majority political parties. While influential cleric Muqtada al-Sadr, who leads the millions-strong Sadrist movement and who has been critical about Iran’s policy toward Iraq in the recent past, kept out of it, one of his counterparts, cleric Ammar al-Hakim, who heads a major Shiite Muslim political party, the Islamic Supreme Council of Iraq, said in an official statement: “We congratulate the noble Iranian people, its wise leaders and brave negotiators… We believe the nuclear deal is key to solving many of the thorny problems in the region”. As yet though, the true impact of the agreement on Iraq cannot be seen. For instance, the impact of the agreement on oil prices. These dropped after the agreement was signed, a negative for Iraq which needs prices to rise if it wants to overcome its current federal budget crisis.